Welcome to your one-stop shop for the upcoming week in college hoops. There are 207 games in the next 7 days, and it won’t be long until we’re blessed with 300+ per week. My mission is to make sure you don’t lose track of the important ones, so here are the 22 games you’ll want to keep an eye on between now and next Friday. We’ll plan on running this column every Friday between now and March 13, while eventually (mid-January?) adding in my annual elimination style bubble tracker, as well as numerous journalistic gems from Charlie. Stick with us for the next 3 months, and you’ll be as prepared as you can possibly be to inevitably tear your bracket to pieces – but you’ll at least feel more knowledgeable doing it. It’s barely December, and I think we can already definitively say that neither of these teams will be earning an at-large bid in March – Connecticut is ineligible, and in order to not receive the Ivy’s auto-bid, the Crimson would need to lose at least 2 games in conference in addition to the 3 winnable games they’ve already lost. Therefore, the post-season qualification implications of this game are non-existent, but it’s still a rare Friday night gem. Harvard is coming off a convincing road win over an ACC team (Boston College) while UConn enters the game reeling from a close loss to an ACC team (NC State). If you do watch it, mentally prep yourself for a lot of “It was a tough off-season for both of these teams,” “Kevin Ollie really deserves a long term deal for what he’s done with this team thus far,” and “Hey, remember Jeremy Lin? !” comments, because it seems to be all the announcers can talk about when either of these teams is on the court. Michigan should comfortably handle Arkansas, but if you haven’t yet seen them play (and I’ve only been able to catch 2 of their games thus far), this is a great opportunity to get a glimpse of Trey Burke and Tim Hardaway Jr., considering the college football regular season is over and done with and no other games of particular interest tip off until the Michigan game is all but finished. I would similarly expect Kansas and Murray State to win their early afternoon games with relative ease, as I think Colorado is a fraud and that the Racers are too damn good to come up short in Evansville. Nevertheless, you’ll want to tune in to get a feel for just how good the favorites will be. Duke gets a chance to avenge last year’s loss to Temple; Virginia Tech gets a chance to prove that they’re for real while proving that West Virginia isn’t; and Illinois-Chicago gets a chance to become a household name while adding Colorado State to Northwestern and Iona on the list of teams that thinks Butler’s departure means the Flames are now the team to beat in the Horizon League. How often do we get the opportunity to watch the 2 most underachieving teams go head-to-head? It appears that UCLA is starting to turn a corner, and may be able to right their proverbial ship in time to contend for the Pac-12 title. Texas, on the other hand, is a living, breathing train wreck. 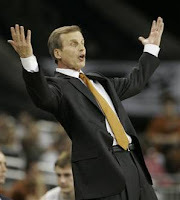 How Rick Barnes has lasted this long is a mystery, but this season might finally be his undoing if he isn’t able to turn things around in a hurry. 2nd place in the Big 12 has never seemed more up for grabs, and I can’t remember Texas ever doing more to show they have no interest in the position. The loser of UCLA/Texas could and should still make the big dance; it’s just fun to speculate that perennial powerhouses might be crashing and burning (what’s up, Kentucky?). The loser of Northern Iowa and George Mason, however, could be in a lot of trouble on Selection Sunday, especially if the loser is GMU. None of their combined 6 losses have been particularly damning, but neither have any of their combined 11 wins been particularly inspiring. UNI has substantially more opportunities to enhance their resume after this game (in fact, their next 4 are against Iowa, UNLV, Saint Mary’s, and Wichita State, as compared to GMU’s next 4 against Richmond, South Florida, Northeastern, and the 40 year olds at your local YMCA), and the Missouri Valley is a much, much better conference than the Colonial (wherefore art thou, Drexel?). If Mason loses this game and doesn’t lose again until the conference championship, is 30-5 with the best win of the season coming over UVA on opening day really going to catch the eye of the committee? Wisconsin @ Marquette is sneakily the most interesting game of the day. Both teams got obliterated at Florida (frankly, who hasn’t been obliterated at Florida this season?) and have been slightly above average aside from that. Playing in their 9th and 12th collegiate seasons, respectively, Jared Berggren and Mike Bruesewitz should lead the Badgers to victory, but Vander Blue – who has emerged from seemingly nowhere – will be the key to the game. The Junior has scored at least 18 points in 3 games this season, although Marquette has lost 2 of those 3 games. If you’re still skeptical about this being a good game, just tune in to watch Buzz Williams’ face gradually evolve into a voiceless four square ball. Maybe you don’t think Clemson is much of a test, but it’s about as good as it’s going to get for setting a pre-conference barometer for Arizona. Yeah, they play Florida in a week, but it’s at home at 10:00 EST, so they’ll have more than a home court advantage in that game (and they’ll probably still lose). They only play 5 games away from home before January (@Texas Tech, @Clemson, and a trio of games in Hawaii 12/22-12/25, likely culminating in a battle with either San Diego State or Indiana State). But the interest in this game has as much to do with Clemson as it does with Arizona. Aside from the loss to Purdue, I’ve been impressed by the Tigers thus far, and with only one game each against UNC, Duke, and Maryland, who’s to say Clemson couldn’t snag one of the ACC’s bids this year? If they are even competitive in this game against Arizona, I wouldn’t write them off any time soon. This stretch of games Northwestern has gone through (Illinois St, Maryland, Illinois-Chicago, Baylor, Butler, Stanford [12.21]) should be a good prep course for the Big Ten gauntlet they’re about to run through. Obviously they’ll have their fair share of key win opportunities in conference, but if this is finally going to be the year Northwestern goes to the big dance, they’d be wise to pick up as many non-conference wins as possible, because a .500 record in conference is unlikely. On the other side of the court, a win for Butler would be their 3rd quality win in 5 tries, with a shot at the ultimate quality win coming just 7 days later against Indiana. Last but certainly not least, hopefully you aren’t too worn out to enjoy the only game of the week between two ranked teams. 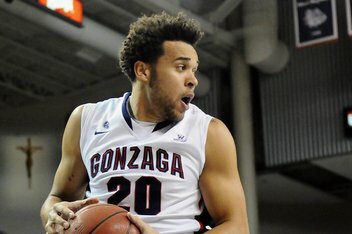 Gonzaga is obviously very good, winning their 8 games by an average of 25 points per game, up to 5 of which came against teams that will probably make the NCAA tournament. I’m not so sure about Illinois’ greatness. The only tournament worthy team they’ve beaten is Butler, and that was on Butler’s 3rd consecutive day facing a quality opponent, whereas the Illini waltzed to the Maui final over USC and Chaminade. Illinois struggled mightily with Hawaii, Gardner Webb, and Western Carolina before ultimately snatching victories from the jaws of defeat. Maybe they actually are one of the 15 best teams in the nation, but I kind of wish the pollsters would’ve waited until this game to make that decision. Sooner or later, we’ll figure it out, though, because by season’s end, they will have faced at least 10 teams currently ranked in the top 20, and that doesn’t even include conference tournament foes. The Zips opened up their season with a loss to Coastal Carolina that’s only getting worse with age, and then blew a golden opportunity to erase it when they lost in overtime to Oklahoma State. 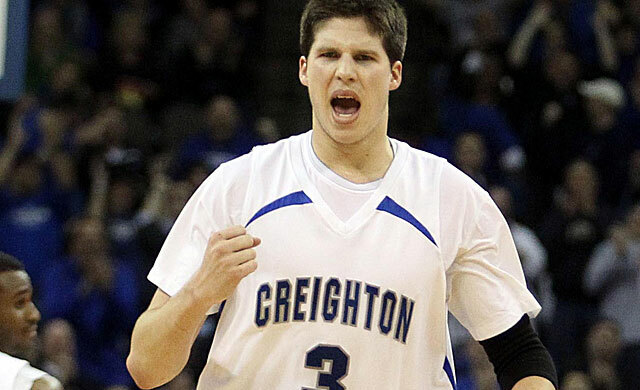 Creighton offers Akron another opportunity to tip the scales back in their favor, but after that loss to Boise State, I don’t think you’ll be able to catch McDermott’s Marauders napping any time soon. Meanwhile, Xavier will look to rebound from an extremely disappointing home loss to Vanderbilt, and Cal has an opportunity to move the Pac-12 to 2-0 against UNLV. It’s way too early to make a claim like this but I’m going to anyway: Both Xavier and Cal will be squarely on the bubble in early March, and this Sunday could very well determine whether they’re in or out. I thought last Monday was the worst non-Friday slate of games that we would see all season, but it only took 7 days to get worse. Unless Mississippi Valley State decides to shock Virginia Tech, or unless Longwood pulls a fast one on Georgetown, the most interesting game of the night will be between Bryant and Navy – neither of which have any shot at an at-large bid. So, yeah, enjoy the AFC Championship preview. In my opinion, St. Joe’s will finish the season as a considerably better team than Villanova, but all bets are off when any combination of St. Joe’s, Villanova, Drexel, Temple, and Penn are playing one another. In the night cap, in no way do I actually expect NDSU to pull off the upset – Minnesota might be one of the 10 best teams in the country, which is only good enough for 5th best in the Big Ten this year – but this is a good opportunity to see how the potential Summit League champs deal with the caliber of opponent they’ll likely draw in the tournament as a 14 seed. And the mid-week Post-Thanksgiving Pre-Christmas blues strike again. Neither of these games should be particularly interesting, but if you insist on watching college hoops this Wednesday, here you go. Maryland out-rebounds Monmouth by 15 boards per game, and neither team hits better than 1 out of 3 from behind the arc, so this might just turn into a rebounding drill for Alex Len and company. 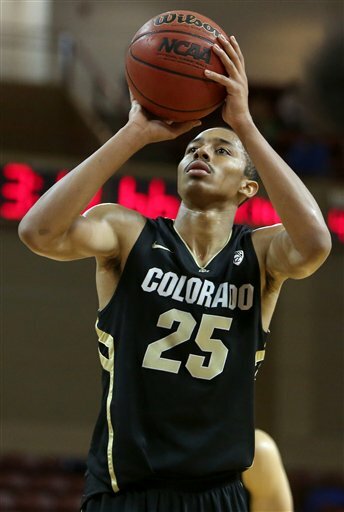 And if you like games where neither team seems overly interested in finding the open man, tune in for Colorado against Fresno State, because neither team is in the top 325 in the nation in assists per game. Fresno isn’t expected to do much of anything this season, but it wouldn’t be a shock if Colorado’s early season magic dissipates entirely this week. Pre-season rankings are rarely worth the paper they’re printed on, and this first game is why: ESPN had Tennessee at #27 and Wichita State at #127. By now, I have to imagine they’ve almost perfectly switched places. Unless winning at Air Force is grounds for dropping in the polls, the Shockers will be the ones entering the game ranked nationally and probably favored in Vegas against a Volunteers team that has done anything but impress thus far, especially in their 37-36 loss to Georgetown. Elsewhere, Middle Tennessee and Belmont square off in something of a teaser for BracketBusters Weekend. For Belmont, this game comes just days before battles with Kansas and South Dakota State, and they’ll need to win at least 2 of those 3 games if we’re going to take the Ohio Valley seriously as a multi-bid conference.